Come (“KOH meh”) Mezquite is a non-profit organization founded and run by a group of women in a rural community in San Miguel de Allende, Mexico. They produce food and beauty products made from mezquite flowers and beans. Their goal is to teach members of their community how to make money from local resources. All of their products are non-gmo, organic, local and cruelty-free. Define the brand’s core values, target audience, and ultimate objectives. 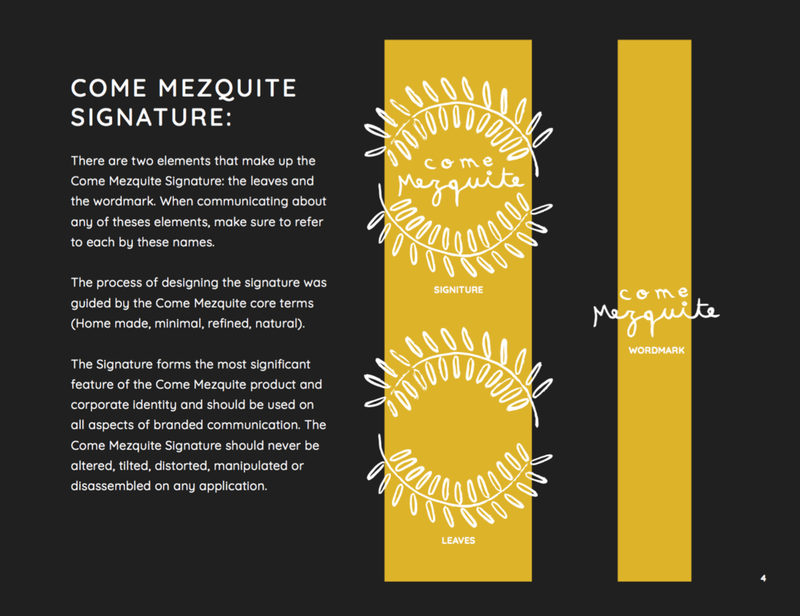 Design a visual identity system that reflects the brand’s essence. Design a small line of packaging for both local and national distribution.